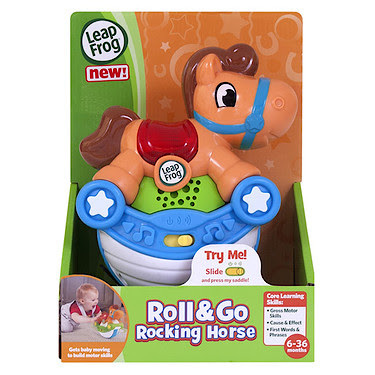 The Roll & Go Rocking Horse delights little ones with fun responses as they horse around in three different ways. Children can press the light-up saddle to hear playful sound effects and friendly phrases, such as "let's go on a ride together!". Batting the horse will set it rocking, spurring fun songs, sounds and rhymes. Parents can also encourage active play by pushing the horse along to start a game of chase. 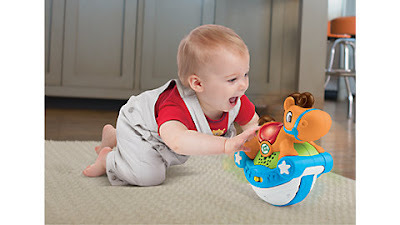 As the horse rolls, lights blink and songs play, motivating the baby to crawl and build motor skills. 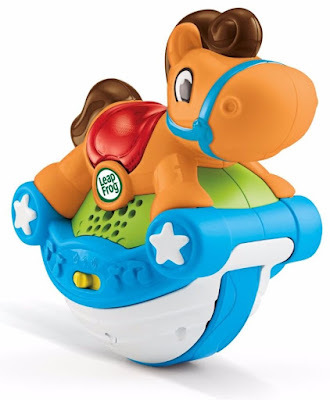 Designed by LeapFrog experts for infants and toddlers, the Roll & Go Rocking Horse rewards each touch with a charming response, encouraging interaction, introducing new words and helping little ones connect cause with effect. Classic tunes such as Camptown Races and the William Tell Overture keeps babies playing and racing along. Packed with rollicking learning fun, the Roll & Go Rocking Horse is a loyal companion that grows with your child! LeapFrog have very kindly put one Roll and Go Rocking Horse aside for one lucky reader/visitor of Unique Young Mum to win! LeapFrog was a big part of Spud's development when he was a baby, and so I know whoever wins will be a very happy winner! The product teaches Gross Motor Skills, First Words & Phrases, and Cause & Effect! Please note: You must at least follow or like Unique Young Mum and LeapFrog on at least one social media platform! 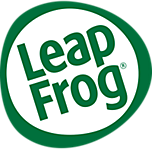 To find out more about LeapFrog, and to view their full range of products, check out the official website here.